Join @TheTechDad and the MobileLiving team at 3 pm ET (12 noon PT) on Friday, June 29 as we chat about Getting More from Your Smartphone! RSVP and attend the party for a chance to win a Google Home Mini or an Apple iPad (5th Generation)! “It’s not enough to be technologists — we have to make sure that technology serves people. We are not indifferent creators — we have a duty of care. And even when with the best of intentions you go astray — as many of us have — you have the responsibility to course correct,” Sandberg said. Her words come in the wake of the Cambridge Analytica scandal that revealed as many as 87 million Facebook users may have had their information accessed without the users’ knowledge, raising concerns about whether Facebook has been proactive enough about protecting our information. As if that wasn’t bad enough, back in May the company revealed a bug had caused the default sharing setting for all new posts to be set to “public” for roughly 14 million users. 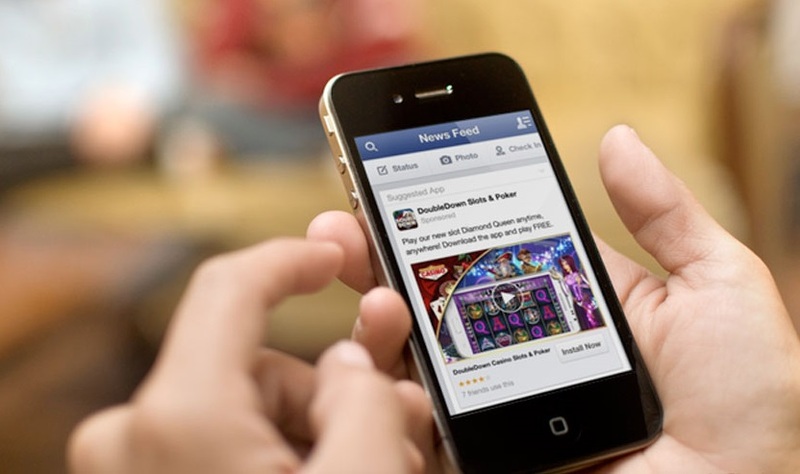 Then, just last Sunday, the New York Times reported that in the previous ten years Facebook “gave deep access” to users’ personal data to dozens of device makers, including Apple, Amazon, BlackBerry, Microsoft and Samsung. These partnerships raise concerns about Facebook’s privacy protection for users and whether they comply with a 2011 consent decree agreed with the FTC. Even after promising no access would be given without a user’s explicit consent, Facebook provided shared information. The New York Times found that some device makers were also able to retrieve personal data from a user’s friends who had settings that supposedly prohibited sharing. Don’t click links in your email and instead copy/paste URLs. Don’t enter your username and password anywhere. Use a password manager like LastPass or 1Password to create and store long, complex passwords. Join @EnzasBargains and the MobileLiving team at 3 pm ET (12 noon PT) on Friday, June 22 as we chat about Tech and Sports! 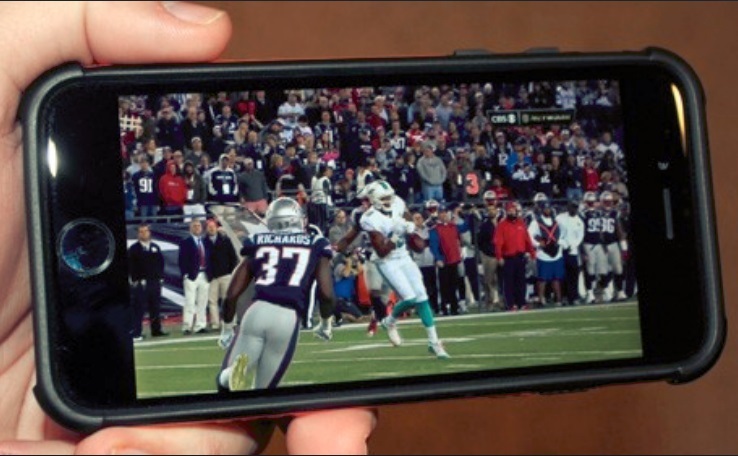 With smarter mobile devices, super-fast networks and an increasing number of streaming options, there has never been a better time to be a sports fan. Join Enza and the team as we look at this exciting new world and share our favorite sports moments! RSVP and attend the party for a chance to win a Google Home speaker or Bose SoundLink wireless headphones! Last week was my third birthday. Well, sort of. You see, three years ago on Monday, June 8, 2015 at about 1:15 p.m. I sat down at my computer, my eyesight went crossed, I felt a little dizzy, and a few minutes later I knew I was having a stroke. Minutes passed, and that turned to hours. I tried several times to use my smartphone to call out, but every time I thought I was dialing I would look down to see the phone on the floor instead of my hands. Something in my mind registered that an aspirin would be helpful and I had some in my truck out on the street in front of my house. Somehow, I made it to the truck, into the glove compartment where I found and took the aspirin, then I made it back into the house where I resumed trying to dial my wife, 9-1-1… anything. Eventually, I was able to place a call to my wife, but did not leave a message. She called back and I wasn’t able to answer. She called back again and this time I answered the phone, told her (somewhat incoherently I was told) to come home. When she got there I walked to the car, looked at her and then she knew as well I was having a stroke. When we got to the hospital I walked in to the emergency room, sat down, saw she was working with the receptionist, and totally shut down. I don’t remember much of the next couple of days, and there are parts of the years before and after those few hours I don’t remember, but I’m here today, celebrating my 3rd birthday due in large part to the physicians, nurses, and other staff at the hospital as well as all of the medical leaps that have come in the last few years in stroke treatment. I had the privilege of recently speaking with Bonnie Smith, VP of the Neuroscience Institute for Providence St. Joseph Health (“PSJH”). Bonnie and her team are making huge strides in new treatments for stroke and other brain injuries. The PSJH system covers over 51 hospitals in seven states. Bonnie, while not a clinician, has worked in the neurosciences for her entire career and is married to a neurologist. She very graciously spoke to me about some of the advances in the treatment of strokes. The Providence system attracted her 13 years ago because of its willingness to offer better, more reliable methods of creating clinical pathways of treatment for neurosciences patients such that when a patient is seen in any of their hospitals, everyone is following the same quality guidelines. Providence works directly with patients and families in a more focused way as opposed to her experience within academics, and Providence has expansive research programs much like academics. About five years ago PSJH developed a program with a goal of ensuring a client within any of the PSJH facilities can get the same level of service regardless of direct resources and locations. The National Heart Association has a benchmark of treating 50 percent of ischemic stroke patients in under 60 minutes. As a result of these communication programs PSJH has stretched that to reach a goal of treating 50 percent of eligible patients in less than 45 minutes. The program includes PSJH hosted monthly meetings with neuroscience professionals and physicians, therapists, radiologists, cerebral vascular neurosurgeons, and more to share best practices. As a result, PSJH has developed a standard level of care practices to level the care provided across the health network. In short, this means that a patient in a more rural area will receive the same level of service as a patient in a more urban setting. A big leap forward in the treatment of patients in rural hospitals is through the Telestroke system. 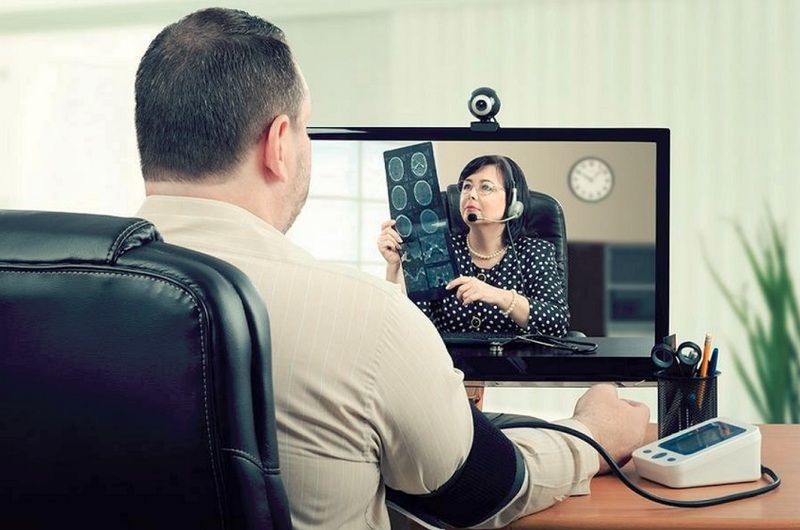 It’s a teleconferencing environment that allows the physicians and other medical professionals in the PSJH system, as well as 53 additional healthcare facilities, to view the patient, communicate with local clinicians and medical staff, and even view medical charts, CT Scans and MRI’s across the Telestroke system instead of transferring the patient to a primary facility or waiting for other methods like email or a secondary digital system. Some other new changes that PSJH has already implemented as a result of these system wide collaborations include TPA’s, coiling and stenting which can now be administered within 6 to 8 hour window instead of the previous standard of four hours. A new trial called DAWN allows certain treatments up to 24 hours of the last well known state of the patient, something unheard of in the very recent past. My experience as a stroke patient, while not something I would want to do again, was very positive. On the technical side, I used online resources like Lumosity to help with my memory, problem solving and other skills. I used Google Apps to document and track progress with medication, exercise and blood sugar levels. I even put the Help Me! app on all of my phones in the event I have to notify friends and family of any further issues. The healthcare professionals who treated me did so in a very proficient, organized, almost choreographed manner. But I was lucky and in a large, somewhat urban hospital not in a small, rural healthcare facility. But it was heartening to learn of some of the advances from PSJH and other heath centers around the world. I am a fairly active outdoorsman and am often in rural locations, and knowing the Telestroke system is there or coming makes it easier for me to wander out and enjoy the great outdoors. Technology is making our life safer, and organizations like Providence St. Joseph Health is making this possible. The recent tragic deaths of Anthony Bourdain and Kate Spade, two individuals that to those of us on the outside who seemed to “have it all,” have brought mental health into the spotlight once again. Despite increased awareness and less stigma attached to the topic, recent data shows suicide rates are rising in the United States, particularly among women. But mental health is more than anxiety and depression. It also encompasses our joy and meaning in life, and that is tied to our friendships and level of connection with others. Friendship is important, even in the busiest days of our lives. That connection with another person – a real relationship, not just an acquaintance – can quite literally mean the difference between life and death. Moms are busy – there’s no question about that. Keeping up with family can leave you stretched thin and worn out. But just because you have a busy schedule and are always surrounded by people doesn’t mean you aren’t isolated. That’s why seeking out meaningful adult friendships is essential. Trim the fat: Give yourself the gift of “No.” It may seem ruthless, but don’t waste emotional energy or valuable time on relationships that have lasted past their “sell by” date. Sometimes the relationship fades organically but, if not, don’t prioritize relationships that no longer meet your emotional needs. Be open for (playful) business: Once you’ve determined the friendships that are important – new or old – make them a priority. 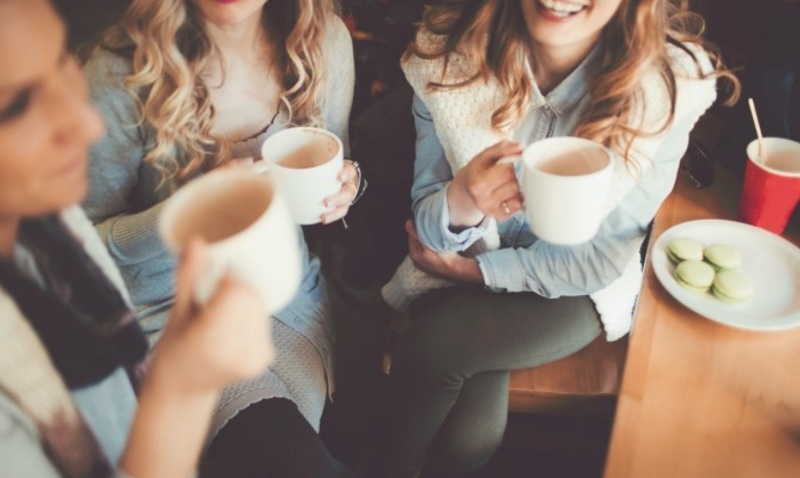 Akbari says, “Remember: with friendship in particular, it’s not always the frequency as much as the quality of the time spent.” And, instead of grabbing coffee together, go for a hike, meet at the park, or take a day trip together. Shared experiences strengthen your connection and a walk through the park or a day shopping together strengthens those bonds. Life is too short and too precious for cheap friendships. Ask almost any parent and they’ll tell you one of the greatest challenges they face today is finding a balance for screen time. Too little and they fall behind their peers, too much and they get lost in the virtual world and miss out on the real world around them. Screen time isn’t all bad. 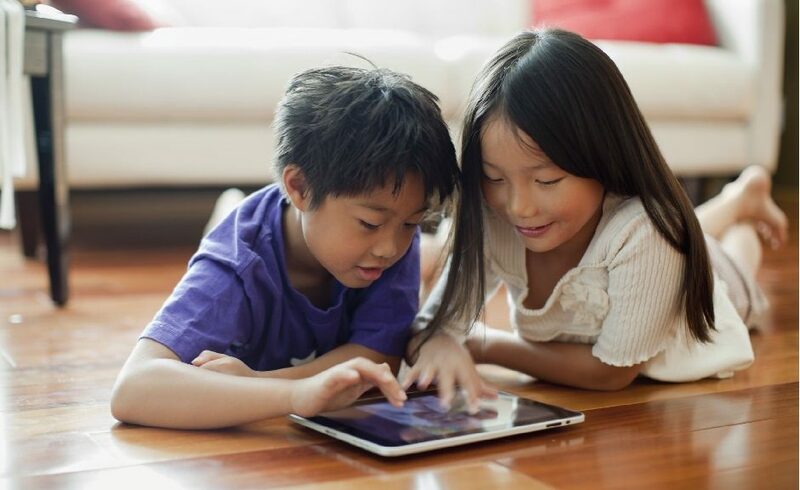 It helps your kids stay connected to friends who don’t live nearby, and the multitude of online summer camps and fun, educational games can help students avoid the dreaded brain-drain that seems inevitable over the summer. These tips will help you help you and your child find a balance between virtual and real-world adventures this summer. Model the behavior you want to see. That hits close to home, doesn’t it? If you spend family dinners checking your phone or you stare at your screen when you’re out for a walk with the family, you’re setting a double standard. Be intentional about screen-free time for the whole family. Give them options. Sounds pretty simple doesn’t it? Take a day to play at the park or the beach, go on a hike, explore a museum or a farm, take a cooking class together, or paint some pottery – the list of possibilities is endless. Check your community bulletin boards for summer day camps or family fun days, and check your local library for summer reading initiatives and family events. Help them be entrepreneurs. If they’re too young for a regular summer job, help them find creative ways to earn some summer-fun money. Perhaps they can earn an extra allowance by going above their regular chores and clearing out the basement, mowing the grass at home or for the neighbors, opening a lemonade stand, pet sitting, dog walking, or even babysitting or working as mother’s helper. Encourage them to think about what they’d like to do and work together to find outlets that match their skills. At the risk of sounding like your grandfather, it’s never too early to learn the value of a day’s work. Summer is a great time to volunteer together. Communities often need volunteers to help clean up a park or neighborhood or carry out other community related activities. Depending on the child’s age, they can volunteer at a hospital, senior center, animal shelter, or homeless shelter. Look for opportunities in your neighborhood. Perhaps there’s an elderly neighbor who could use help with yard work or simple household chores. The key is to be creative: What works at my house may not be as effective at yours. What are your tips for balancing screen time with your kids? A friend of mine was recently involved in a traffic accident overseas. One of the other drivers involved was seriously injured, and it was necessary for my friend to contact the driver’s family back home in Canada. Because the driver had set up an Emergency Contact in his iPhone and enabled it to be seen even while the phone was locked, it made a traumatic situation somewhat less difficult. 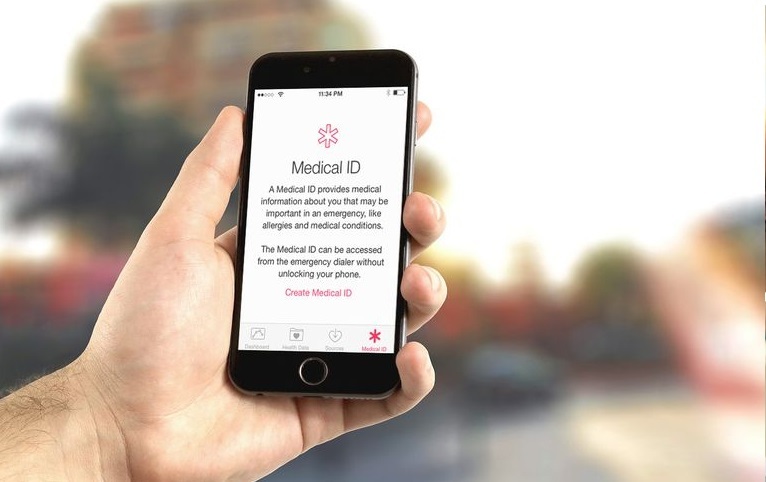 The feature is called Medical ID and is available for iPhones and iPod Touches. To activate the feature, open the Health app. From here, enter your full name, birth date, any medical conditions and medications you’re taking, your blood type, an emergency contact and other details including height and weight, and whether you’re an organ donor. Once you’ve completed the information, enable “show when locked,” so the data will be accessible to others such as emergency responders or, as in my friend’s case, a bystander who would otherwise be unable to unlock your device. 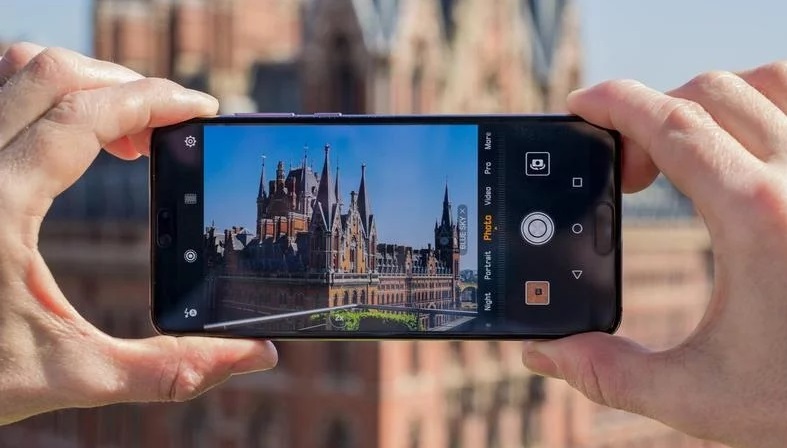 Android phones also feature an emergency contact function but because there are so many different manufacturers there’s no uniform software feature across all devices. Back in 2016, Google announced a feature with Android Nougat called “Emergency Information,” which according to Google should be under the “Users” tab in settings. However, some phones using Nougat, namely the LG V20 and Samsung Galaxy S8, don’t have the setting but emergency information was editable in the Contacts app on both phones. To set up your emergency information on an Android, go to “Contacts” and then “Groups” located next to the Search bar — the icon with the silhouette of two people. Tap “ICE – emergency contacts,” then choose which of your contacts you want to add to the list. You can assign more than one. Now, when the “Emergency Call” button is chosen, from the lock screen, a red button on the upper right will bring up your emergency contacts, and the red icon on the lower left will bring up your emergency medical information. To set up emergency medical information, go to Contacts>My Profile. Tap “More,” and a screen will display a fillable form for you to input your emergency medical information including medical conditions, allergies, blood type and more. Whatever device you’re using, it’s important to complete this information. Having access to information such as current medical conditions and allergies is critical when first responders deal with emergencies. It’s not an overstatement to say it could save your life or the life of someone you love. Looking for ways to fill those summer days? Online summer camps offer more than hours of uninterrupted screen time; many of them take kids outdoors to explore the world all around them. It’s more than a way to answer the dreaded cry, “I’m bored!” Harvard’s Graduate School of Education found that students lose an average of 2.6 months of Math and reading skills over the summer. Kids from low-income homes suffer a substantial loss of academic skills over the summer months according to research conducted by Johns Hopkins. As a general rule, these students don’t get to go on vacations where they’re exposed to museums, national parks, or are exposed to different cultures or geographic environments. This is why online camps are a great option for students from every demographic by providing creative, educational – and yes, fun – activities and experiences for kids. These are some of the best. Camp Wonderopolis is the “free online summer-learning destination that’s full of fun, interactive STEM and literacy-building topics boosted by Maker experiments!” This year’s focus is the magic of music, but past camp kits are available for topics including engineering, health and fitness, and different branches of science. Each topic includes lessons, outdoor activities, videos, and additional reading suggestions for all age groups. Free for campers; optional $25 instruction guide for parents; age 7 and up. Connected Camps offers hands-on instructions so kids can learn to design, create and code. The online summer programs are week-long, coed and girls-only, and geared to campers 8 to 13 years old. Each course is taught by qualified instructors who will teach kids: Coding, design, and media production skills; problem-solving; teamwork and collaboration; planning; and the value of community. $69-$99; age 8-15. Start with a Book provides 24 learning themed guides to allow families to explore a variety of subjects together. There are age-appropriate book suggestions, activities, websites and apps to access and supplement the fun. The topics cover pretty much every subject imaginable from dinosaurs, bugs birds and animals to money, cooking, heroes and superheroes, time, and time travel, plus many, many more. Free, ages 3 years and older. Camp PBS Parents provides hands-on learning experiences for you to do with your kids at home. There are loads of downloadable and printable activities like the Summer of Adventure Activity Book, Explore Your Neighborhood, and Explore Your World. There’s links to other summer activities and adventures including PBS Kids shows screenings at Alamo Drafthouse and fun summer themed activities at Reading is Fundamental. Free, ages 3 years and older. Brain Chase lets you join other students from all over the world in a real-world treasure hunt. Students choose either The Sunstone of Cortes or The United Way Service Challenge (open to Arizona residents only). 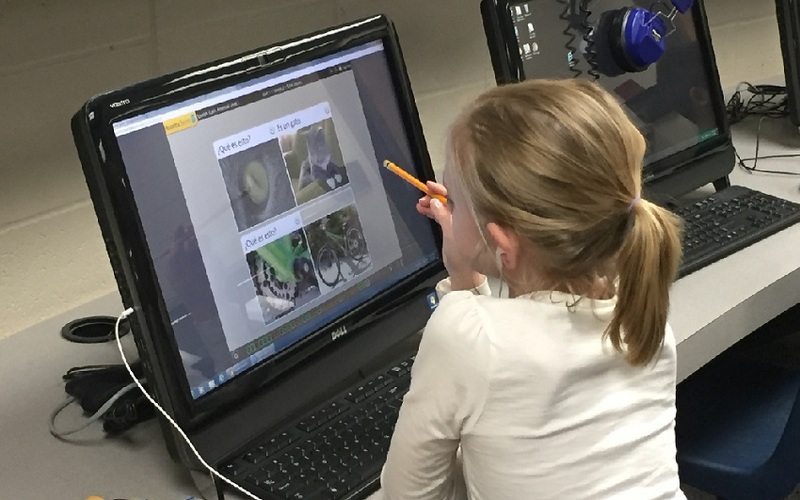 Brain Chase partners with Rosetta Stone, Google Books, Khan Academy, and Credentialed Teachers, and each child’s adventure is customized to their academic needs and abilities. Students who complete all seven weeks compete for a $5000 scholarship. The program comes with a money back guarantee – you get a full refund if you cancel within the first week. $79-$249, includes option to register as a family, open to 2nd – 8th graders.